Recently iTechnology signed strategic partnership with Nintex (read more here) and now is time to talk about how to combine iTechnology Forms Accelerator and Nintex Workflow 2007 to get the best from both products. 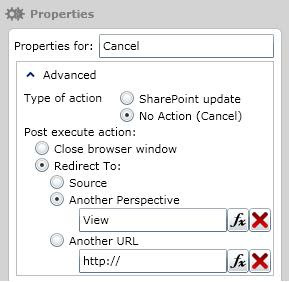 This is the first post from our “iTFA and Nintex” series and today will focus on how to open iTechnology Forms Accelerator form by calling specific perspective name from Nintex Workflow. 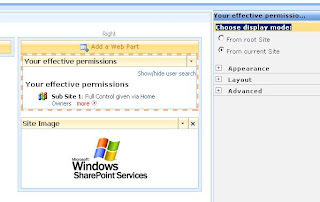 iTechnology Forms Accelerator is a product that provides electronic forms for Window SharePoint Services 3 and Microsoft Office SharePoint Server 2007. 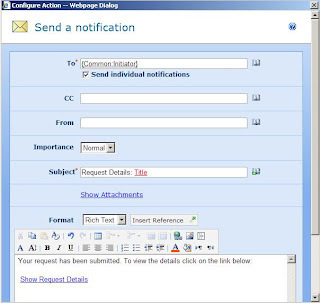 The main idea that stays behind is to give business users an easy to use and intuitive tool so that they can create forms by themselves with ease, and the same time powerful enough so that IT pros can use it in their solutions for the most complicate scenarios. There are many features that every user can benefit from – strict version control, web-based designer, easy publishing and exporting of a form. 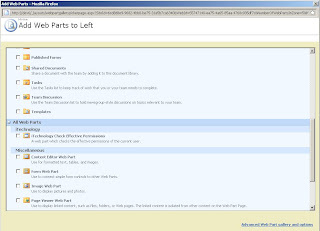 For all features you can read here or in iTFA documentation, or watch how-to videos in iTechnology channel in Youtube. By default there are 3 perspectives in an iTFA form – New, View and Edit. 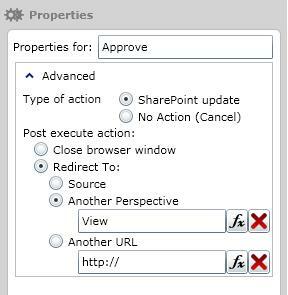 These perspectives represent the possible states of a SharePoint item – when is being created (“New” perspective), when is opened for view (“View” perspective) and when is opened for edit (“Edit” perspective). 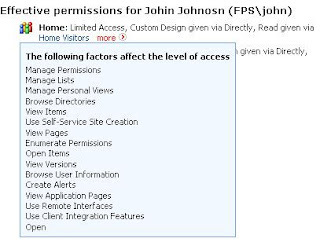 Besides this, user can create custom perspectives with the condition that each perspective should have unique name. 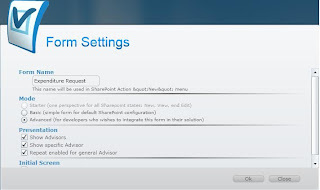 Note that adding/deleting perspectives is only available for forms in “Advanced” mode (for more details check iTechnology Forms Accelerator documentation). 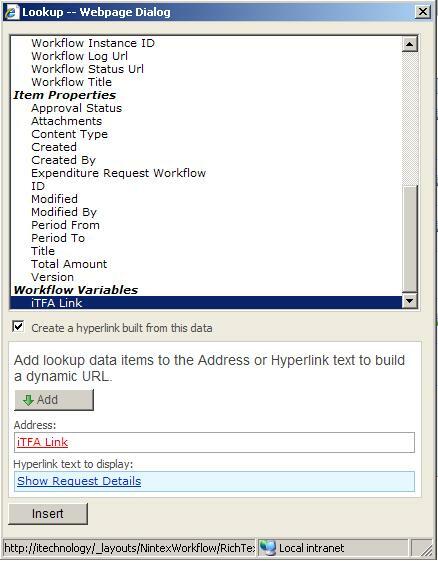 Now I can add additional perspectives which I'm going to use later from my Nintex workflow. For example one can be “Details” perspective and will use it to display request details. 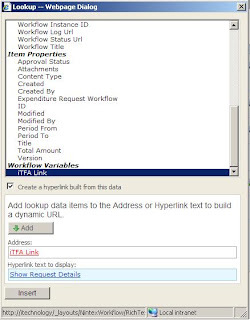 To simplify further usage, I have prepared a method that can register as a Nintex Inline Function and then invoke in the workflows. 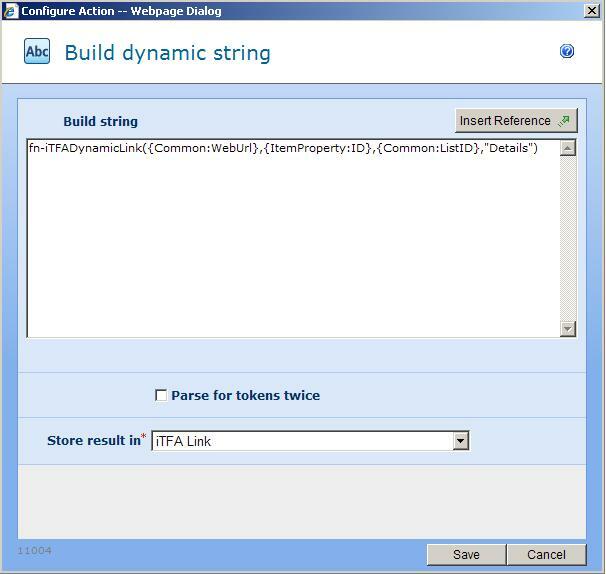 NWAdmin.exe -o AddInlineFunction -functionalias "fn-iTFADynamicLink" -assembly "iTFA.Extentions, Version=1.0.0.0, Culture=neutral, PublicKeyToken=xxxx" -namespace "iTFA.Extentions.iTFADynamicLink" -typename "iTFALinkGenerator" -method "CreateDynamicLink"
You can read more about “AddInlineFunction” operation here (as well for all other operation available in nwadmin). 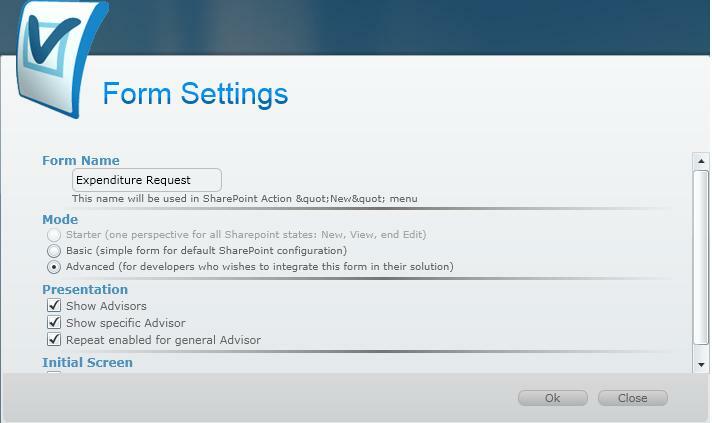 As you can see working with iTechnology Forms Accelerator and Nintex is easy, but most of all - definitely useful! 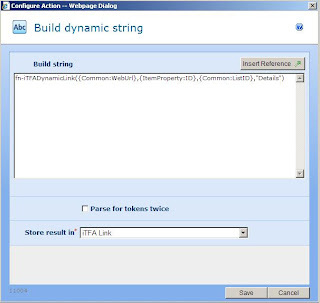 Follow us for the next parts of iTFA and Nintex series.